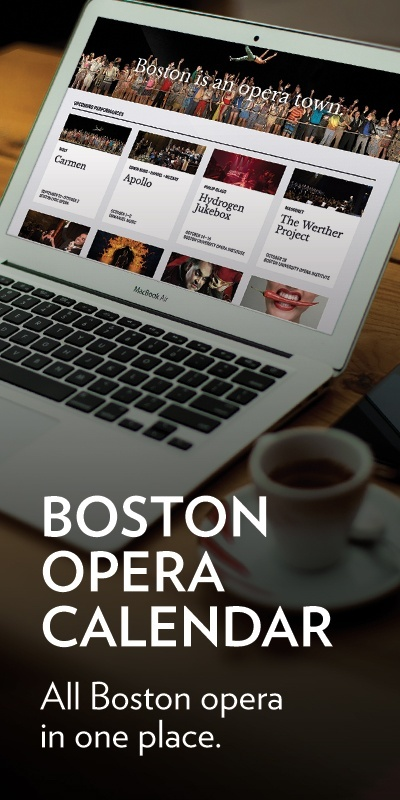 From informative lectures to one-of-a-kind celebrations, BLO Events this Fall were sure to inspire and to ignite a lifelong passion for opera. Winter/Spring 2019 Events will be announced on a rolling basis. In the meantime, please enjoy these recent highlights! Mezzo-soprano Felicia Gavilanes performs in BLO’s 2018 Concert in the Courtyard at the Boston Public Library in Copley Square. Students and teaching artist Eric Ritter discuss inspiration images for their original opera during BLO’s summer Opera Creation Boot Camp. Student participants in BLO’s summer Opera Creation Boot Camp play with creating theatrical tableaux. Educators and teaching artists participate in a hands-on set construction workshop with scenic carpenter Ray Reyes. Members and guests from the El Planeta Powermeter 100 List joined BLO for a special evening at The Barber of Seville. Tod Machover, composer of the World Premiere opera Schoenberg in Hollywood, leads a symposium on Arnold Schoenberg at the MIT Media Lab, featuring panelists Joseph Auner (Tufts University), Anne Schreffler (Harvard University), Jeremy Eichler (The Boston Globe), and Karole Armitage (director and choreographer). Spoken word artist Adobuere Ebiama performs during Crossing the Line to Freedom: A Musical Narrative in the Boston Public Library’s courtyard. The artists from “Crossing the Line to Freedom: A Musical Narrative” presented in collaboration with Castle of Our Skins and performed at the Boston Public Library as part of their Concerts in the Courtyard series. Baritone Vincent Turregano and soprano Mara Bonde in a Talkback discussion with audience members after a performance of Trouble in Tahiti, led by Director of Community Engagement Lacey Upton. BLO welcomed members of the El Planeta POWERMETER, among the movers and shakers of Boston’s Latinx community, to Trouble in Tahiti. BLO Jane and Steven Akin Emerging Artist Sara Womble portrays famous opera singer Jenny Lind during a Signature Series performance at the Museum of Fine Arts curated by Artistic Advisor John Conklin. Cast members from The Nefarious, Immoral but Highly Profitable Enterprise of Mr. Burke & Mr. Hare cut loose at the Opera Gala After Party. Julian Grant and Mark Campbell, composer and librettist of The Nefarious, Immoral but Highly Profitable Enterprise of Mr. Burke & Mr. Hare, discuss their work and the vibrancy of opera in the 21st century with WBUR’s Louise Kennedy at the Museum of Fine Arts, Boston. James Myers, coach/pianist and lecturer, gives audiences a taste of the history and music of Tosca in a pre-performance talk at the Emerson Cutler Majestic Theatre. BLO PRIMA members smile for the camera and dance the night away at the Tosca Opening Night party. Soprano Chelsea Basler, dressed as the famous historical singer Nellie Melba, serenades the crowd at the Isabella Stewart Gardner Museum’s Third Thursday series. BLO Emerging Artist Antonia Tamer and pianist Brett Hodgdon perform selections from Tosca at an Opera Night at the Boston Public Library event.